What are comparable sales? How are they used in appraising your home? We are often asked these questions, and the answers are relatively simple. Fundamentally, the value of your home can be appraised or estimated by checking out the selling prices of other houses in the neighborhood. Houses of similar size in the same neighborhood should sell for similar prices, with some adjustment made for condition, decor and so on. Homes that are similar in area and construction, number of rooms and bathrooms, garage space and lot size should sell for approximately the same price. This is particularly the case if your home is one of many in an area where all the houses were built to the same general specification. All that distinguishes them would be interior and exterior décor. When comparing homes in this way, there are certain standards used to ensure a close relationship with comparable sales in your neighborhood. Appraisers now tend to use the prices paid for homes in a particular area over the past three months. There has been too much variability in house prices over the past few years for a longer time frame to be useful. The area in question should be within about a half-mile of the home being appraised, or even closer if possible. Houses should also be of a similar age, similar lot size and similar floor area. Location is very important, and home set in secluded area will be expected to sell for more than one more affected by road traffic. How Are Comparable Prices Determined? 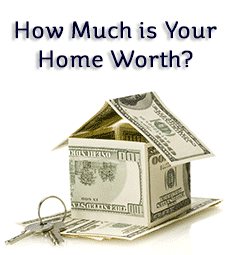 Obviously, an appraiser does not go around knocking on doors asking how much recent buyers paid for their homes! A real estate agent has recourse to two major publications offering details of comparable sales: the public record and the Multiple Listing Service. When a home passes hands, the deed details are usually recorded in the office of the county recorder. An estate agent can access these records via title insurance companies who sell insurance against loss due to defects in the title of a home. However, the information provided from the public record is often at least 8 weeks old. When taken in conjunction with an escrow period, typically a month or more, then the information is outside the ideal three month period. This is a private service used by Realtors to list real estate that is for sale. After a sale, the selling price is added to the listing for that property. This provides more up to date comparable sales information than the public record, and is available to Realtors who are members of the Listing Service. Because of the need for as fresh data as possible, Realtors sometimes have access to a service even more up to date than the Multiple Listing Service. Generally, once a home has been sold, it is classed as a ‘pending sale.’ This means the selling price is not listed until the sale has been closed. However, real estate agents can often discover the selling price by word of mouth by talking to other agents, and it is not uncommon for the sales price to be posted internally in the agency office. When selling your own home, or considering making an offer for a particular home, comparable sales can give you an idea what to ask for or what to offer. You do not want to offer too much if other homes of the same size, type and location are selling for less. You cannot do this effectively yourself, and a financial advisor can help you by putting you in touch with an appraiser who will ultimately inform you of the true worth of your current or intended home based upon the prices recently paid for similar homes in the same area.